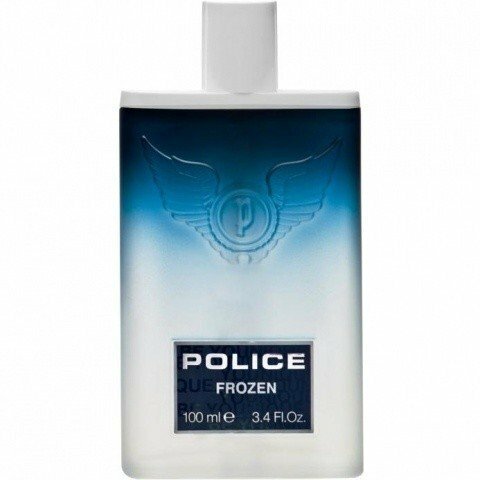 Frozen is a perfume by Police for men and was released in 2015. The scent is fresh-woody. It is being marketed by Mavive. It opens with a blast of mandarin peel aroma, like a bold blend of aged cognac and exquisite mandarins. Some notes of lemon leaves follow, but not so prominent as the mandarin, whit a soft touch of apple juice. So the top notes are pretty citrus and fruity. This aroma lasts for half an hour, then a selection of spices and flowers reveal smoothly. The elegance of the jasmine flower embraces the spiciness of the green cardamom, the hotness of the pepper, and the sweetness of the nutmeg. The heart is creamy, so gourmand that you wish you could have it. About two hours later I start getting the dirtiness of patchouli blended with the gentleness of the white musk. This blend is sweetened by the amber, the creamy sandal and the resinous cedar. I worn it today at office, I think it is safe. All day long and early evening are good times for wearing it, and this late summer days go well with it. End of September is pretty humid, and that combines well with this frozen juice. Albeit it is meant for cute young boy, I happen to like it.